How Much will I save by using EZ Snap® RV Skirting? $2950 is the Average Savings VS. Custom Made 5th Wheel Skirting. Kit Example: 27 Foot Travel trailer with 1 slide would need a 90 Foot EZ Snap Skirting kit. How to Measure and Install your Own RV Skirting Video. If you have questions or need assistance, contact us here. Order securely online and we ship to your door via UPS or Purolator courier. Prices for all kit sizes are listed in our secure online store. If you already know what size kit you need, please follow this link to check EZ Snap RV Skirting Prices. What Size Kit Will Fit? For a Price Quote, you’ll need to know what size RV Skirting Kit will fit your 5th Wheel, Motorhome, or Trailer. Please follow this link to use our RV Skirting Kit Size Calculator Tool. How Long is Your RV? 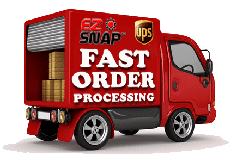 Follow this link to contact EZ Snap Customer Service for assistance or answers to your RV Skirting questions. We are always happy to share our experience and help with your RV Skirting project. How Much is Shipping to US & CANADA? Delivery (from the time your order ships) is typically 4 to 8 business days to most points in North America. Orders usually ship next business day & delivery time is 4 to 8 business days. RV Skirting Now On Sale ! !